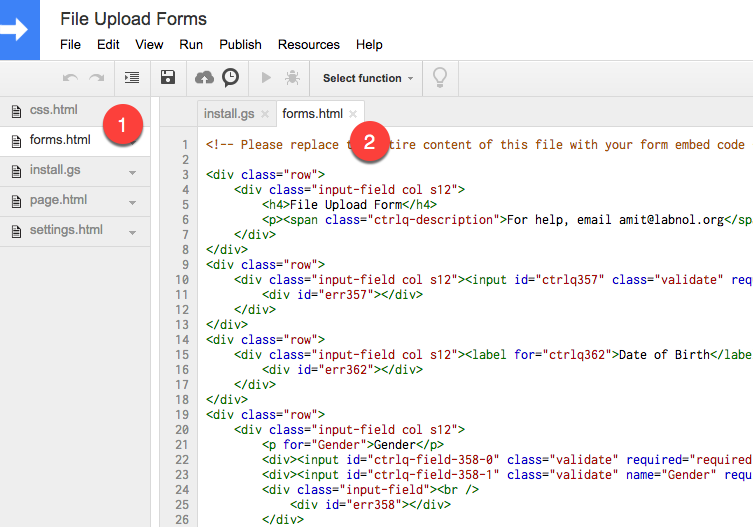 This step by step guide explains how you can edit your File Upload Forms and add, edit or delete fields in the form. You may refer to a previous guide on how to edit colors of the form. Step 1: Go to Forms Studio and sign-in with your Google Account. You’ll see a list of all the forms that you’ve created earlier. 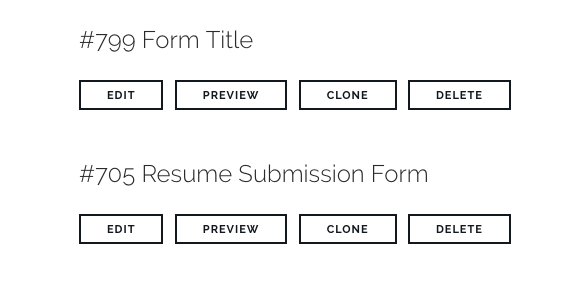 You can either create a new form or edit an existing form. Step 2: After you’ve created the forms inside Form Studio, click the Save Form button followed by Preview Form Design to test the actual layout of your form. Step 3: On the Preview screen, scroll to the bottom of the page and copy the embed code to your clipboard. Step 4: Open the Google Sheet associated with your File Upload Form, go to Tools > Script Editor and click the forms.html file. Remove all the existing code and then paste the code you copied to the clipboard in the previous step. Save the changes. 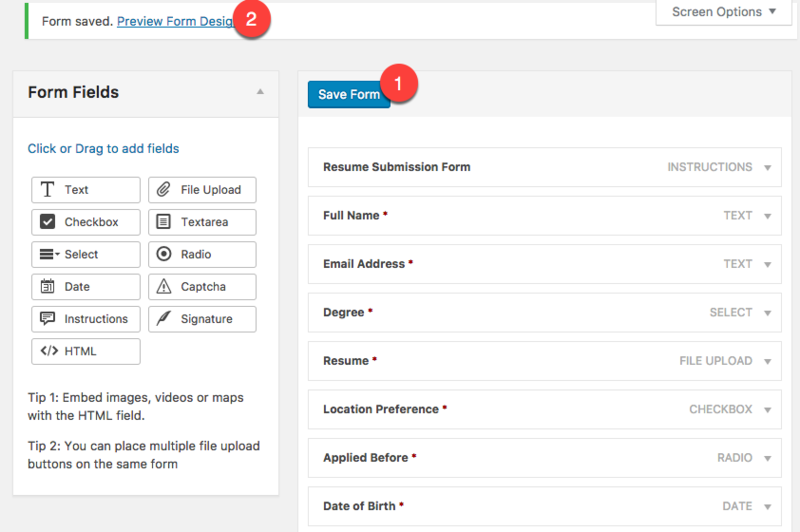 Step 5: The forms have been updated but changes are not live yet. Go to Publish > Deploy as web app and choose a new Project Version. Then click Update and your update form will go live instantly.